ModelRisk and Tamara both offer the possibility of specifying the seed value for a simulation, an integer from 1 to 2,147,483,647 . It is good practice always to use a seed value and to use the same numbers habitually (like 1, or your date of birth) as you will remember them in case you want to reproduce the same results exactly. 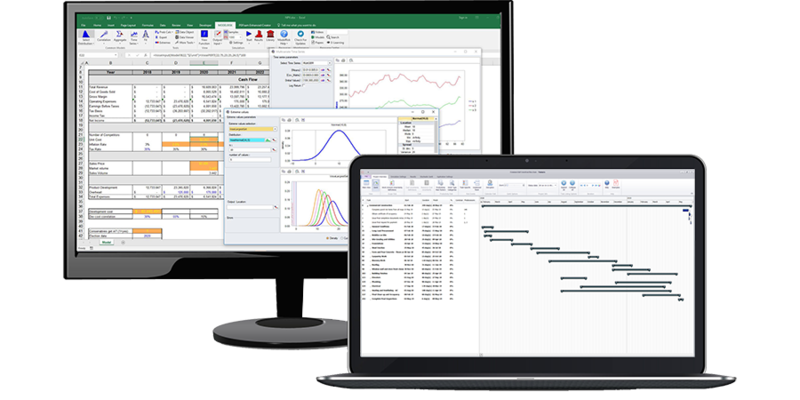 Providing the model is not changed, and for ModelRisk that includes the position of the distributions in a spreadsheet model and therefore the order in which they are sampled, the same simulation results can be exactly repeated. More importantly, one or more distributions can be changed within the model and by running a second simulation one can look at the effect these changes have on the model's outputs. It is then certain that any observed change in the result is due to changes in the model and not a result of the randomness of the sampling.